At the Washington University School of Medicine, researchers discovered that sleepdeprivation causes the levels of tau to increase, and tau is a key protein for Alzheimer’s. The researchers have been doing studies on mice to observe how lack of sleep can increase the protein of tau in the brain. Lack of sleep may be a factor on how fast the disease of Alzheimer’s spreads to the brain because the lack of sleep causes tau proteins to become damage and spread over time. 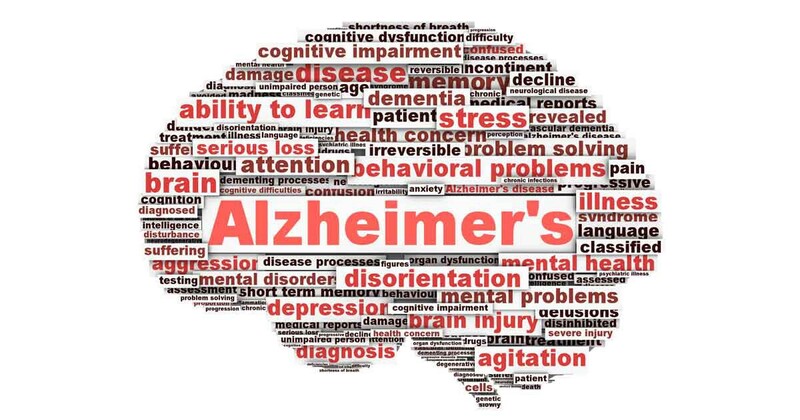 Researchers found out that tau is higher in elderly people who do not get enough sleep and they wanted to find out if lack of sleep could be a major contributor to Alzheimer’s. As the researchers examined tau levels in mice, they found out by disrupting mice’s sleep during the day time, because mice sleep during the day, that tau levels almost doubled in the mice’s brain. The researchers then decided to test tau levels on humans, by testing their tau levels after getting a good night’s rest and then after getting no sleep, and they discovered that the tau levels increased about fifty percent. Tau tangles together in parts of the brain responsible for memory which can cause people to struggle to think clearly and lead to Alzheimer’s disease. I found this article to be very interesting because I know there is no cure to Alzheimer’s disease, but researchers are now discovering that lack of sleep can be a contributor to the increase of how fast Alzheimer’s develops in the brain. Researchers are always saying how good sleep is for having a healthy life style, and now it is important to get enough sleep at night to prevent the increase of tau proteins from building up in the brain. Although, it does not say how much faster Alzheimer’s will develop in a person from lack of sleep, but it is always important to try to get enough sleep at night. My mom is a senior care giver and cares for a few elderly women who sadly suffer from Alzheimer's. It is a terrible disease and effects not only the sick but also the family who is forgotten. I know so many college students who talk about pulling all night study sessions. Hopefully studies like these will make students think twice about procrastinating. I never knew that the protein tau is a key protein in Alzheimer's. I think it is interesting how lack of sleep causes the levels of tau proteins to increase and harms the proteins over time. I wonder if there is a correlation on college students cramming for finals with little sleep and their performance in the exam.